If you went with option "C," go ahead and give yourself a well-deserved pat on the back. Actually, go ahead and give your back a little pat, too, if went with option "A." 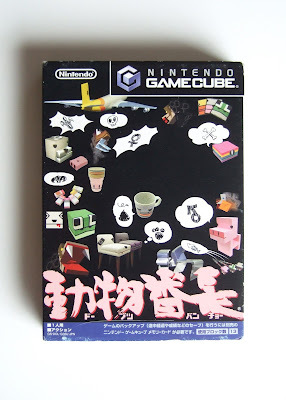 Although I wasn't a huge fan of Cubivore back in the day--how could I have been? I never played it--I definitely knew of the game and the positive word of mouth associated with it. 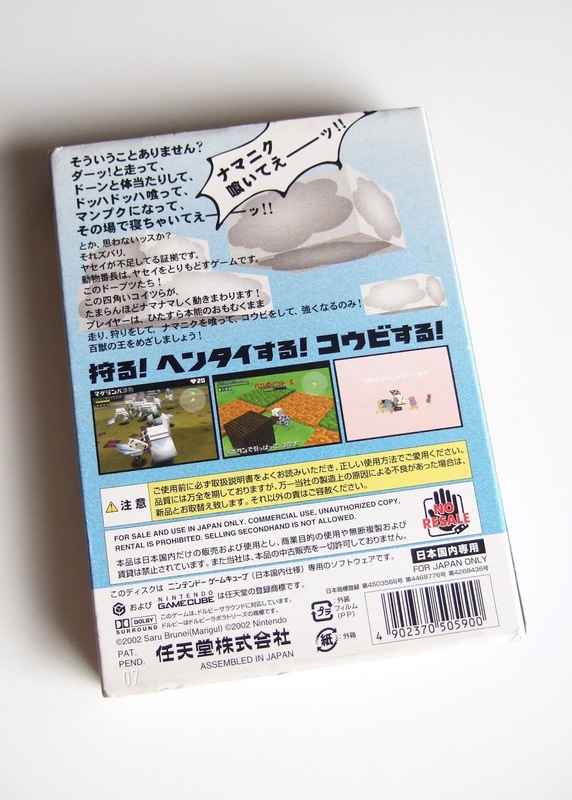 Add those two components together and you've got a good explanation as to why I purchased the copy of Dōbutsu Banchō seen above and below when I came across it on eBay just over a month ago. 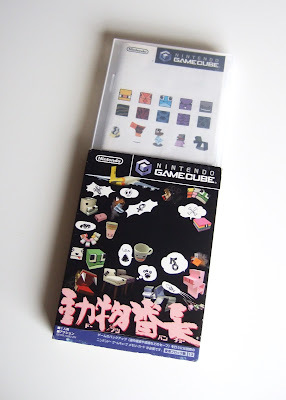 As those snapshots should make clear, this GameCube title's packaging is on point in all respects. OK, so the backside of its outer sleeve (see above) is a bit boring, but the rest of it is so intriguing I'm not too bothered by it. 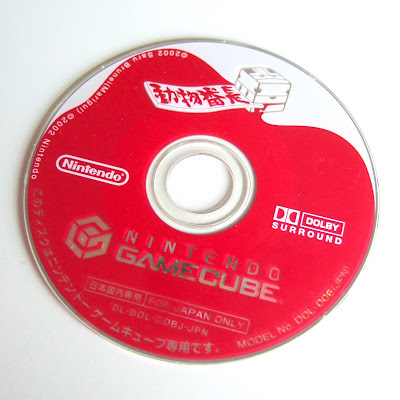 My favorite part of Dōbutsu Banchō's packaging (or whatever you want to call the game's outer sleeve, case, disc and instruction manual) is its blood-covered disc, by the way. As for the game's manual, I'm not entirely sure why I failed to take any photos of it. I guess this means I have to whip up another "Manual Stimulation" post as soon as possible--as long as it isn't a complete dud. 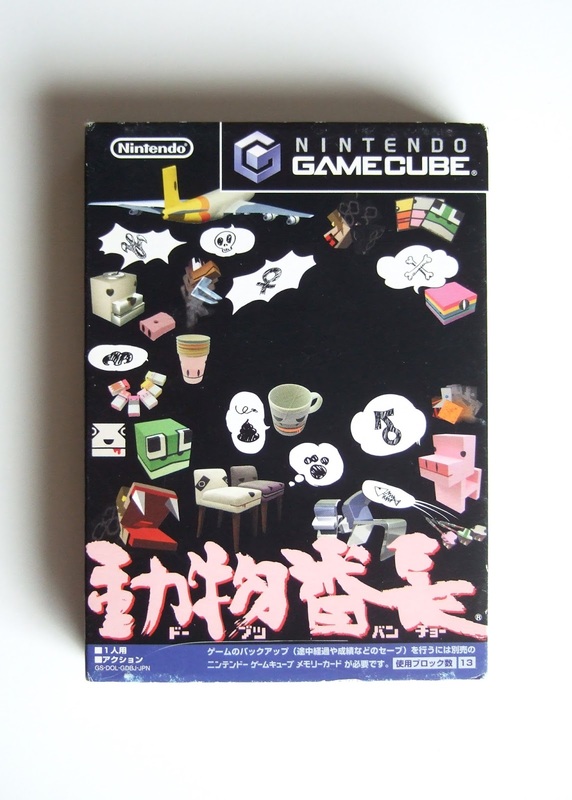 With all of that said, have any of you played either Dōbutsu Banchō or Cubivore? If so, what did you think of the experience? Let me and others know in the comments section of this post.